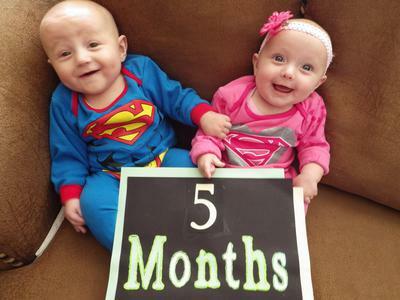 5 Month Old Super Babies! 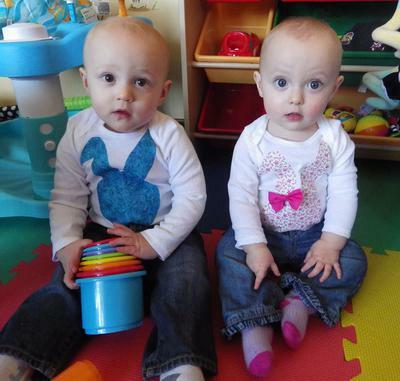 For the whole first year I took monthly pictures! 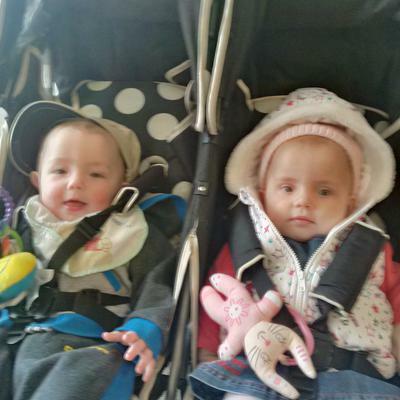 This is my favourite one! 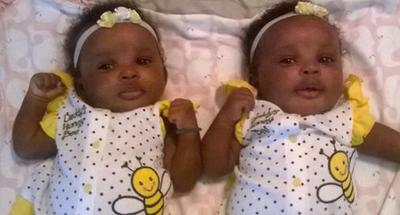 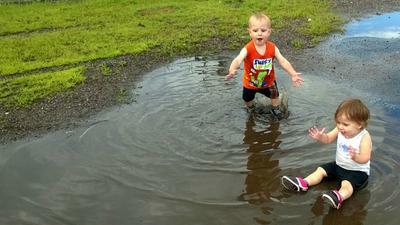 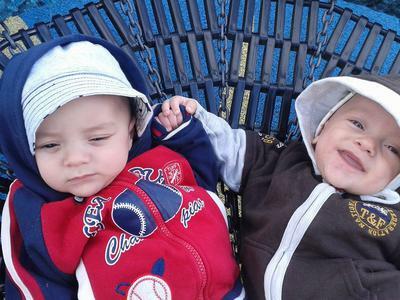 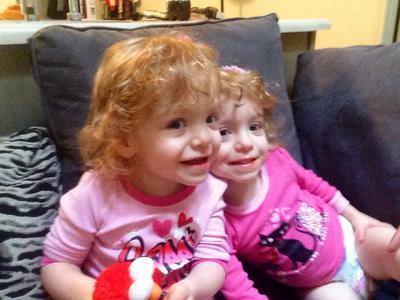 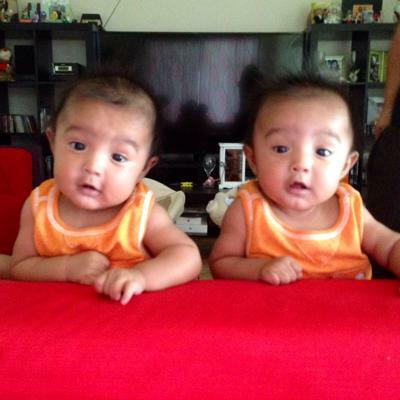 TwoCute™ Twins Photo Contest – August 2014 WINNER! 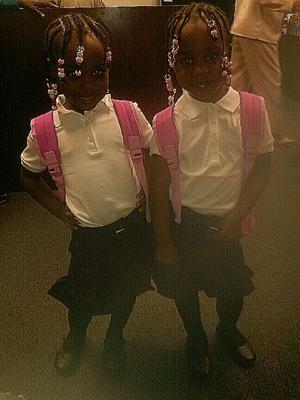 Joy & Destiny Jones, first day at school, 5 years old. 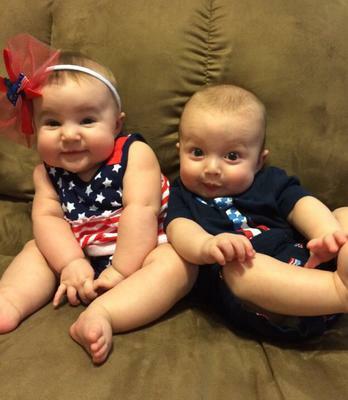 Kennedy & Archer Are Little Firecrackers!